FMVA is a program which consists of 12 courses (9 required courses and 3 elective) that must be completed to graduate. Each course has an in-built exam (which is about one hour to complete) that students are going to pass at the end of the course. The Typical Student team previously told you about CAIA Certification and CFA Exam Preparation Tips. What Are the FMVA Requirements? In order to pass a FMVA exam your grade must be 80% or higher per each FMVA course. 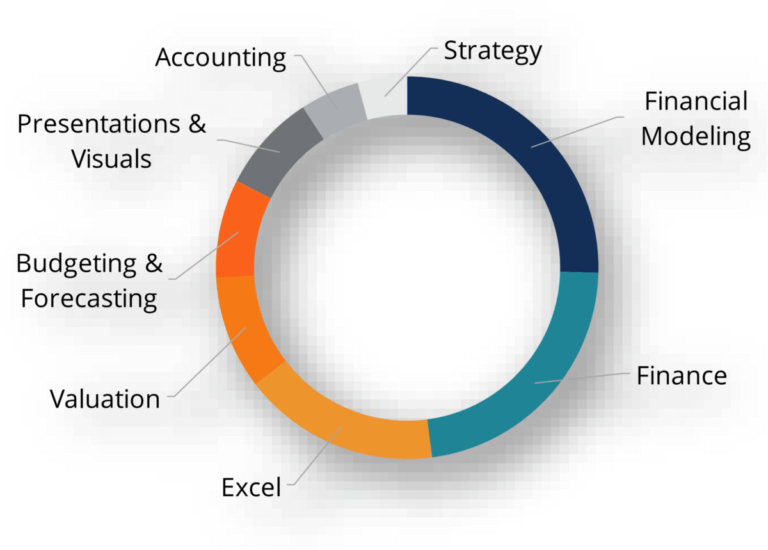 The FMVA curriculum concentrates on such finance skills as: Excel, accounting, finance, financial modeling, budgeting and forecasting, company valuation, business strategy, presentations, and charts. You can find out more information about the FMVA curriculum on their official website. FMVA organizers recommend studying at least 1-3 hours per each optional course, 2-5 hours per each core course, and 2-8 hours per each selective course. How Much Does FMVA Cost? FMVA program costs $2900, however, there is a discount policy, check the official website to find out more. Before attempting the exam for the first time, complete all the video lessons. FMVA provides online video lessons that contain all the topics covered in the exam itself. Watch all those videos and complete all the video lessons, it will really help you. Just make sure that you actually understand all the Excel demonstrations and exercises, because they can be really tricky. Try to complete the analyses and models by yourself without any help from the video lessons. That will help you to understand better how those models and analyses actually work. During the exam note down all the questions that you are not sure of and then check if you answered right at home. And even though you are not able to correct the wrong answer, you still will improve your finance knowledge. So if you don’t pass, you will know what material you have to study. Unfortunately, you might not pass the test from the first try. However, you can always attempt again. Moreover, you’ll definitely be better prepared after taking the test for the first time. And do not forget about our previous trick, if you know that you might have to retake the exam, because this will for sure help you to pass your FMVA exam. FMVA is a really tough test that is why you have to study hard in order to pass it. So devote a couple of months of your life to your exam preparation and you will not fail. Don’t just waste your time while doing laundry, traveling somewhere, or working out in the gym. Use every opportunity to study and listen to some audio courses or watch video lessons. Yes, everybody is pretty nervous during the exams, especially those exams that require 80% or higher grade. However, you have to calm down during the exam, because nervous people make much more mistakes.